Yerlikaya said Thursday evening that Tekgöz had undergone a successful surgery. At least three people were killed when an eight-storey building collapsed in Turkey, the Istanbul Governor's office announced on Thursday. Overnight, emergency services also rescued a 9-year old boy. "We are continuing with our search and rescue efforts so that we can deliver good news [about survivors]". Three of them were in serious condition. Istanbul Governor Ali Yerlikaya said on Twitter the search and rescue operation would "continue uninterrupted", adding that a five-year-old girl had been pulled alive from the rubble on Thursday morning. 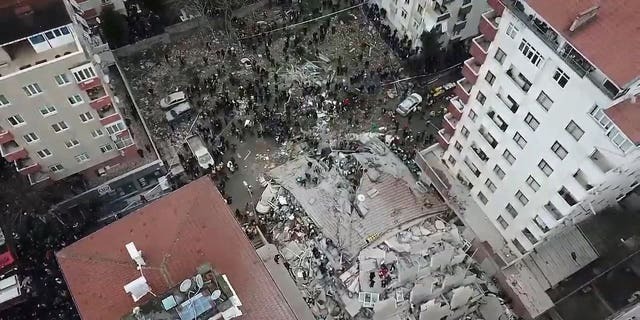 Video from a residential area in the city's Kartal district shows rescuers at work around a mound of debris.